Scenario planning lies at the heart of the analysis used to develop the 7th Northwest Power and Conservation Plan. The Northwest Power and Conservation Council wants your help in selecting and shaping the scenarios to be used. The 7th Plan will guide utilities' energy choices, theoretically for the next 20 years and practically for at least five. In it, the Council -- the region's official power planning agency -- will prescribe the best mix of power and energy conservation to meet our projected needs. So what will our regional energy world look like in five, let alone 20 years? Will the economy be growing? How will energy-saving, distributed-generation and electric-vehicle technologies evolve? Will climate change concerns and salmon-restoration needs place greater costs or constraints on fossil fuels and/or federal hydropower? The Council must cull the sets of potential answers to those and so many other interrelated questions to find which future "scenarios" have at least some likelihood of occurring … and are thus deserving of deeper analysis. By analyzing a variety of scenarios, the Council hopes to learn which least-cost/least-risk strategies will work best over a variety of possible futures. Council staff identified 14. You can find them here. A question is whether the Council should narrow the list for better and more timely use of staff's analytical and explicatory resources. If the answer's "yes," which should they choose? 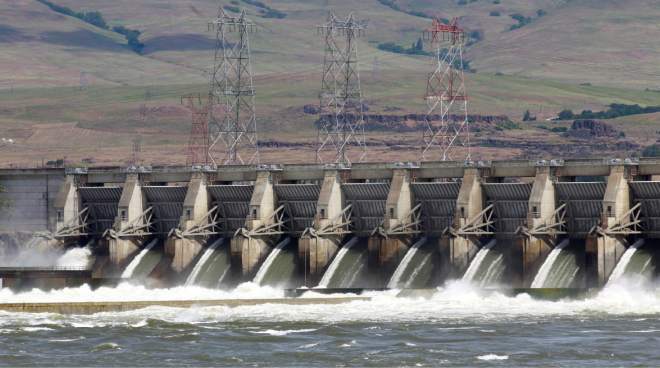 Will they keep a scenario on lower Snake River dam removal? Model a world of low carbon prices but not one with the higher ones we know reflect true costs and are needed to speed coal phase-outs? Please look over the linked scenario information and let the Council -- and us -- know which ones they must consider seriously while developing the 7th Plan. Tell them, and us, about serious omissions in the 14 scenarios. And also provide any specific suggestions for fleshing out the draft scenarios in a meaningful way. The Council will discuss the scenarios at its March 11-12 power committee and general meetings in Eugene, Ore. You are welcome to attend in person or via webinar and comment at those meetings -- visit the Council website for details as they become available. The scenarios also will be discussed and comments taken (check the Council website for attendance and remote connection information) at the Council's Resource Strategies Advisory Committee meeting from 9 a.m. to noon PST March 12 at the Council's central office in Portland. Please send us your comments. NW Energy Coalition staff will attend all these meetings and provide comments and recommendations. If you would like your thoughts incorporated into our comments, please contact policy director Wendy Gerlitz by March 6. Also email Gerlitz for more information, or to discuss the Coalition's comments on the draft scenarios.